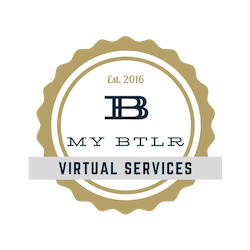 Let your virtual assistant be the detail person, so you can focus on the big picture. When Did Your To-Do List Become a Full-Time Job? Success has never been so complicated. In a world where getting ahead usually comes with a big email inbox, it's normal to find your spare time eaten away by dozens of mundane tasks. No amount of time management or re-shuffling the to-do list will add any more hours to your day. After all, productivity doesn't work when you have a near-infinite list of tasks to work through. You'll always have another item to buy or a little bit of info to look up. That's why so many ambitious people often use a virtual assistant to ease up on these time-consuming tasks. The problem is these tasks are often too complex for technology to handle, yet sometimes too simple for you to want to spend your time on. You don't want to delete a hundred new emails -- but help combing through them would be great. Perhaps your wife mentioned an errand earlier and it'll take ten minutes of browsing the web to find what she needs. Whatever the case may be, these little problems can add up to big headaches. A virtual assistant is the ultimate time management tool. It's productivity on steroids. It's simpler and more affordable than a full-time assistant, and it gives you more of your most valuable resource: time. Don't let your to-do list keep you down. Do the stuff you truly have to do, but delegate the rest to someone else … your virtual assistant. You'll have more time for the things you love without sacrificing an ounce of achievement. Let us show you how much time you can save. Contact us to learn how. Limit your list to 3-5 quality items. If your list is more quantity than quality based, you’re wasting time on low-value items. Don't confuse being busy with being productive. Socrates once said, “beware the barrenness of a busy life.” What can you eliminate to increase fulfillment in your life? Prioritize daily. Review your list for tomorrow before you go to bed. In the morning, tackle the first thing on your list before you do anything else. This way you're well on your way to smashing your list for the day. Use technology. There are loads of great tools that keep things simple and are easy to learn. Cloud-based products like www.trello.com, www.getpocket.com and www.evernote.com enable you to access your information from any device you have handy. Technology can't always solve problems, but basic tools can help keep you organized. Think like a project manager. Project managers aren't always born great organizers. They follow a process and use proven methods of execution. Great project managers set specific goals, create plans, break things down into smaller parts, pay attention to detail and communicate consistently and often. Learn to put these basic skills to work with the items on your to-do list. Hire a virtual assistant. For the items that don't meet your top 3-5, hire a virtual assistant to complete these tasks for you. Sure, there are plenty of other things that need to get done, but delegating these to a virtual assistant you trust enables you to focus on the most important items. Plus, a virtual assistant is a fraction of the costs of an in-office assistant – and, can do 90-95% of what someone can do in person. From managing your schedule and maintaining projects to controlling your inbox, a virtual assistant can handle things you don’t have time for, forget to do, or simply don’t want to do. What is the quality of your to-do list? What can you start doing to become more productive, see results and eliminate barrenness in your busy life?